The laser level is a simple and effective solution for leveling and alignment. provides a small scale time saving solution in regards to installing cable in ducts, threading through pipes or surveying drains etc. We have these available in 50m & 100m reels complete with stand. These lightweight and robust tools identify any natural signals being carried along pipes and cables. 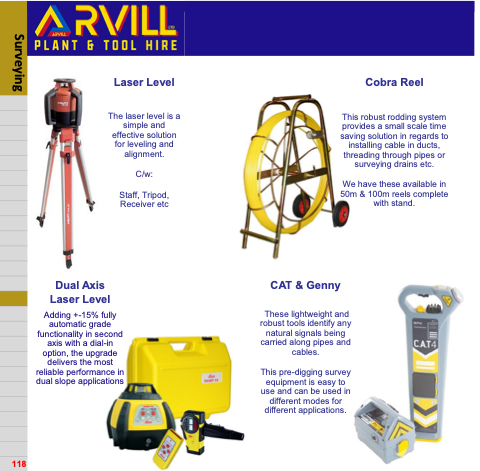 This pre-digging survey equipment is easy to use and can be used in different modes for different applications.